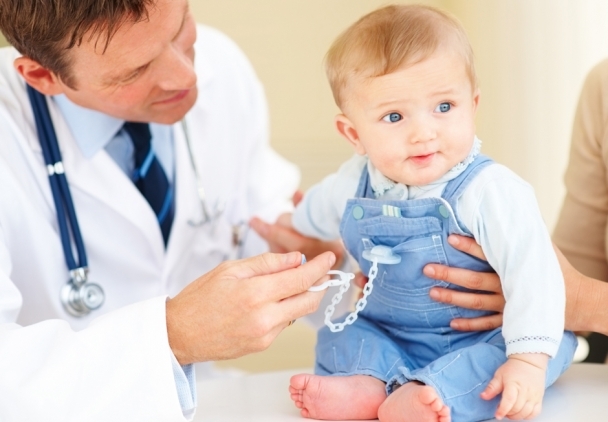 Caring for baby teeth is important for the health of emerging permanent teeth. A child’s first teeth are called deciduous and erupt between the ages of 6 months to 3 years. To soothe a child whose teeth are coming in, you can use a special over-the-counter gel to relieve pain and discomfort. Specific plastic rings, which are kept in the fridge, as well as a pacifier, can also be helpful in relieving pain. Some parents don’t believe that maintaining healthy baby teeth is as important as maintaining healthy permanent teeth, since the child will replace them. However, baby tooth decay can cause intense pain for the child and can also affect permanent teeth, which are developing below in the interior of the jaw. Do not give your child sugar-containing beverages before bed or during the night since they can destroy the enamel on all the teeth (baby bottle tooth decay). Likewise, don’t give your baby a sugar-coated pacifier to relax her. As soon as the baby teeth first appear, brush them twice a day, initially with a wet gauze and then with age-appropriate tooth brushes, so that your baby will slowly become familiar with good oral hygiene.